Regardless of the industry you work in, you may find that the spread of germs is quite difficult to stop. In the typical office, where there’s many workers in a small area, germs are bound to spread with very little contact needed. If somebody comes into work with a cold, it doesn’t take long before the whole office has it and a few people take days off to recuperate. It’s important, as a business owner, to expect these to happen. After all, you can’t keep the office so squeaky clean that the common cold doesn’t occur. But you can implement some important measures that keep the office as clean and healthy as possible, reducing the chance of employee sick days drastically. System Hygiene look into how you can avoid the spreading of germs in a typical workforce and how that will help you in the long run. It all starts with basic hygiene in the workplace, without the basics in place, you’ll find it hard to keep everybody in healthy condition. As poor hygiene can lead to increased illness and results in disruption costs, reduced employee efficiency and production losses. Staying on top of the basics is quite simple, keep a regular cleaning schedule, whether you hire an external company to do weekly cleaning or you hire cleaners yourself. Many people slack in hygiene duties because of this, so it’s vital that you instil an environment of awareness of the workplace. That way nothing major gets in the way of work and people’s health. Simple tasks such as doing a general clean at the end of the day goes a long way in keeping a clean office. Keep some sanitising and disinfecting wipes close by all the desks or worksurfaces, to fight bacteria buildup that occurs daily. Implementing signs to constantly remind and enforce the environment of cleanliness is vital to a clean and healthy workplace. This reinforcement will increase the productivity of the workplace as sickness will naturally decrease as you put more emphasis on hygiene. A messy workplace can quickly get out of hand and cause regular illness along with turning away business as potential clients visit. 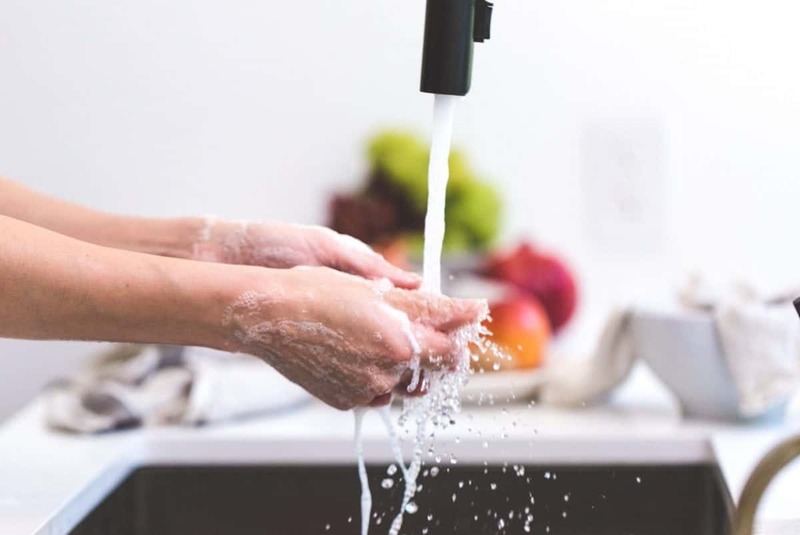 It’s all good and well if you intend to make changes to better hygiene within your workplace, but without the proper cleaning products then you’re up for a huge challenge. Keeping disinfectant wipes on each desk takes a hefty stock cupboard to ensure that everybody’s cleaning needs are met. All it takes is one day of no wipes for that habit to fall back into nonexistence. It’s up to you as the business owner to make sure these necessities are provided, every day of the working week. Supplies such as hard surface cleaners, washroom cleaners, disinfectants and degreasers, all more common than others in specific industries. But without these you’ll find it difficult to run a business efficiently. Next PostIs this Britain’s fittest family? Great advice on keeping the office clean from germs!